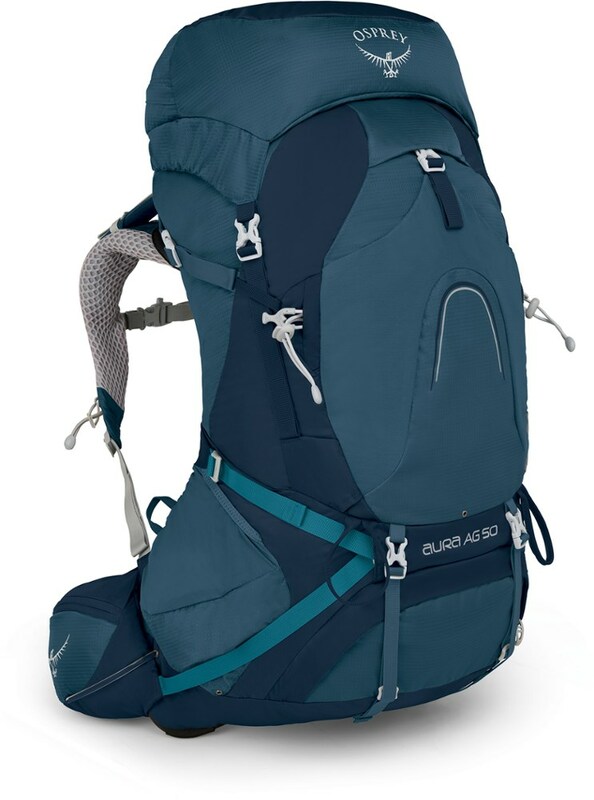 An internal-frame backpack for weekend trips, mostly oriented on alpine climbers. It has convenient main storage compartment, high quality, durable materials, and lots of external attachment points. In the meantime it’s not very comfortable to wear and desperately lacks additional gear compartments. Me and my wife are less than amateur backpackers, and we don’t participate in multi-day backpacking trips. From ca. 2006 till beginning of 2017 I had been using very old and uncomfortable 55L backpack which became really annoying with time (the same applies to my wife). So in last winter we finally decided to purchase more convenient backpacks for both of us. I liked the Fjallraven Abisko backpack design (much less its price), and I became obsessed with zipper closure in main compartment, ensuring instant access to any item in your backpack. Dimensions (HxWxD): 75x28x27 cm (29x11x11 in). Weight: 1.75 kg (3.9 lbs). In comparison to other backpacks in this store I especially liked their quality, including the workmanship and fabrics. I cannot find any quality-related issue in both backpacks. 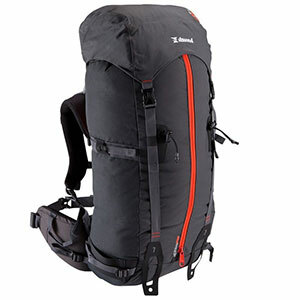 As I wished, in addition to traditional top closure, this model is equipped with huge YKK zipper ensuring direct access to any point inside the backpack. That proved itself extremely convenient in our trips. 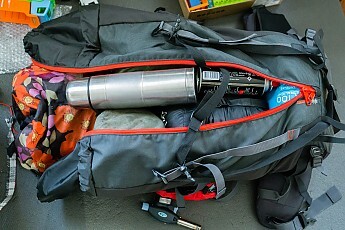 For example, when packing your gear you may easily eliminate the empty places inside. 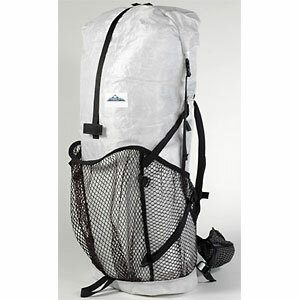 Keeping in mind that everything is easily accessible, you may load the pack in more correct way. Contrary in traditional design the necessary items are usually found on the top, even if it caused wrong weight distribution. 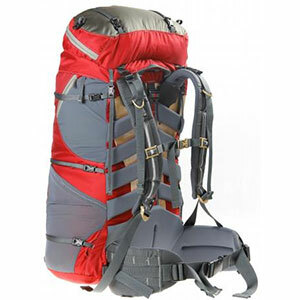 This backpack is oriented for alpine climbers, and therefore it has lots of attachment points (for ice axe, shovel, poles, skis…), but none external compartments or pockets, except for traditional top compartment in the flap cover and detachable mesh pocket on the belt. As far as I know, the climbers prefer less external compartments for more freedom while working with ropes and technical slopes. Also there was no attachment for closed-cell foam sleeping pad, but that was easily fixed by purchasing a pair of adjustable straps for each backpack. The only separate storage compartment in the flap is roomy and equipped with key strap and zippered mesh internal pocket, which fits 9" tablet. The manufacturer claims that this compartment is waterproof, but that’s not true. 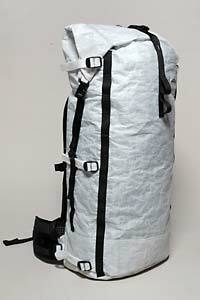 In addition, there is a flat pocket in main compartment at the back (suitable for Letter/A4 papers or hydration pack). The backpack has a metal П-shaped internal frame (detachable) and various torso adjustments. 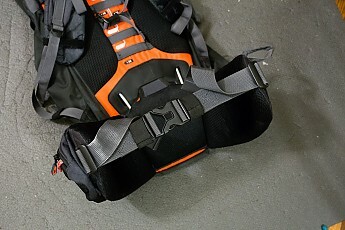 The attachment point of shoulder straps has several positions which are marked by user height. Unfortunately the padded part of shoulder straps is narrow and short, thus carrying the backpack is not always comfortable. Sometimes while pushing our child stroller really hard, the buckles and bare straps are hurting my underarms (but this doesn’t apply to my wife). I’ve even purchased a set of Zpacks foam pads made specifically for such cases. That helped. The volume adjustments in this backpack are really nice. You get two pairs of compression straps (the top pair is equipped with QR buckles), so loading the backpack by a third is not a problem. Also there is an expandable tube under the floating upper flap, which ensures +10L volume gain, as stated in the name of this model. 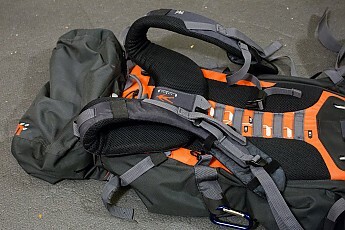 Auxiliary straps are easily adjusted to match the backpack load and height. 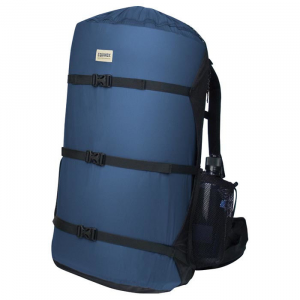 This backpack is comfortable until your load doesn’t exceed 15 kg (35 lbs). Beyond this point you get uncomfortable feeling in waist, where the pressure from internal frame is applied. 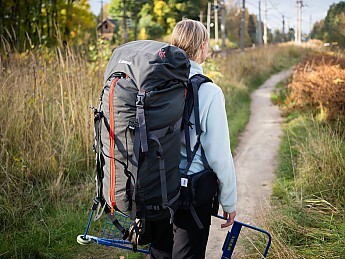 Luckily the available adjustments allow balancing the backpack weight between shoulders and waist for optimum comfort. And the hip belt is very large and solid, so it bears the load well. Finally you have the special loops for temporary unloading the shoulder straps by your hands. In general I like this backpack in comparison to my old one. Especially I like the comfort of accessing the various items inside, and also the general wearing comfort has improved in comparison to my old backpack. But there is also much room for improvement in shoulder straps design and the padding at the waist area. Also sometimes I find annoying the lack of additional compartments and external pockets. Thanks for the review, Vladimir. Out of curiosity, did you buy your Simond pack at a Decathlon store, which owns Simond? 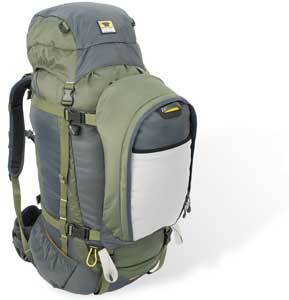 And are you thinking about returning it and replacing it with a pack more suited to you? Yes, I've purchased it in Decathlon store. I believe that this backpack is fine for me, considering our comparably low backpacking activity. The Simond Alpinism 55+10 is not available from the stores we monitor.